If you are a homeowner and wondering how to add value to your home, you might be confused about where to start. There are almost endless small enhancements and major renovations you could make. It’s important to know that you probably won’t recoup 100% of your initial costs when it comes time to sell your home. However, not all renovations are created equally. There are certainly ones that will help boost your home’s sale prices more than others. To figure out exactly what projects will give you the most return on investment (ROI), we used Remodeling’s 2017 Cost vs. Value Analysis from 99 different U.S. markets and shared some of the best projects homeowners can invest in. We also included a visual and tips for how to add value to your home and create a space that is sure to leave a lasting impression on potential home buyers. One of the best (and most affordable) renovations includes repairing small sections of your flooring that may be causing problems. Look for squeaky boards, broken tiles and stained carpets that can be fixed with a small replacement square or a few nails. Additionally, pay attention to small rooms, like the bathroom or entryway, that may benefit from a complete replacement and create a big impact with smaller costs. 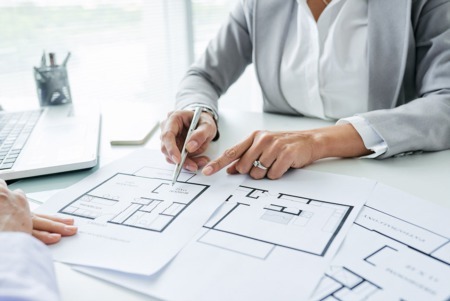 Costs and ROI can begin to vary depending on the size of your room and material of the new floor, but new buyers will love knowing they don’t have to make any replacements once they move in. 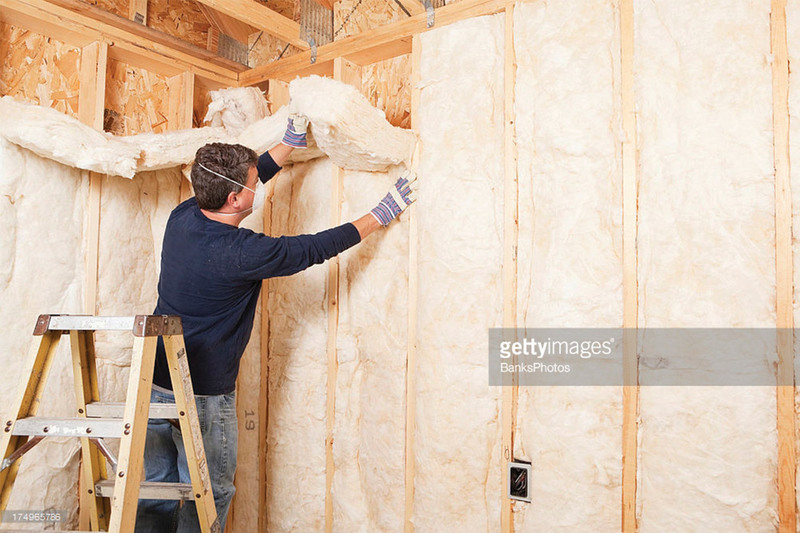 The highest return of all projects was adding fiberglass insulation to the attic. This improvement is easy to forget about because it’s not immediately visible during an initial walkthrough, but it pays off tenfold in the form of decreased utilities when those cold Colorado winters roll around. There’s no denying that first impressions set the tone for an entire home viewing with a potential buyer. With a low initial cost, high return and DIY options available, this is one of the first updates you should make to your home. Experts recommend buying a high-quality steel door because of its durability and versatility. For an entrance that stands out, choose a pop of color or DIY a barnwood finish. Complete your update by framing the exterior and interior with crown molding. While a complete kitchen renovation costs upwards of $120,000, it only delivers a recouped cost of 61.9%. A minor kitchen remodel has a much better return for less cost. The kitchen is the center of the home and also where buyers spend the most time during a walk through. So, look for those small things that will have the biggest impact. Ideas include replacing the cabinet doors with raised-panel wood options, upgrading drawer handles, and purchasing a moderately priced double sink. You should also consider replacing your countertops, backsplash and flooring with updated, durable replacements. But keep in mind that 40% of buyers said they do not want laminate counters. This is one way to add immediate curb appeal to your home. It also gives you the opportunity to install a keypad entry and fix any broken springs or hardware. Purchase garage doors that complement the design of your home, consider contemporary design and color for newer homes and a carriage house style for a farmhouse. Be aware that wood materials, while having a high-end feel, require more continued maintenance than steel or aluminum alternatives. If your siding is faded or cracked from extreme weather (or you don’t have siding at all), installing new vinyl siding will give your home’s exterior an instant facelift. Neutral or muted colors in traditional or dutch lap style are universally good choices when thinking about resale value. However, if you have a Craftsman or cottage layout, you could mix and match textures and colors to bring out the home’s character. Having high-quality windows improves the look and functionality of your home from the inside and out. They also save homeowners a lot of money when it comes time to pay utilities. Both vinyl and wood options will hold most of their resale value, with efficiency being more important than materials. Energy-Star rated windows were on the “most wanted” list of the top 11 features buyers look for, with 89% of people saying they were either a must have or very desirable. A classic wood deck, complete with railings, balusters, and stairs, is a great way to create an impressive space for entertaining and relaxing. Surveys show that a deck or porch is one of the top three outdoor features buyers look for, regardless of whether it is in the front or back of the house. So build one where it makes the most sense with your floorplan. Or, consider building two to maximize your home’s outdoor space. Around 66% of buyers want homes that have a finished basement and it shows: sellers generally recoup most of their costs with this project. For the most return, turn the space into an open-concept family room or an entertainment area with a bar and sink. Installing carpet, nice lighting and quality paint are the basics required to make a finished basement ready for the next homeowners. If your space is large enough, you can add a bedroom and/or office. In order to count them as extra rooms on your listing, make sure you have quality egress windows that comply with safety and emergency standards. The average cost of a roof replacement tends to be much lower (around $11,000), but it’s a good idea to budget for more because there are several things that could change the scope of the project. If your house currently has only had one layer of shingles on it, you can technically install another on top. However, roofing professionals recommend that homeowners in cold climates strip all the layers off in order to inspect for damage and install a layer that can prevent future leaks and problems. It is also well worth buying high-quality shingles that will increase the lifetime of your roof (and that will come with a warranty). Bathrooms are one of the rooms that homeowners spend the most time and money remodeling (second only to kitchens). To keep the cost in check and get the most out of your remodel, we have a few insider tips. Don’t replace the tub or shower if you don’t have to. Instead, pay for reglazing and focus on making the ceramic tile look great. Classic white subway-inspired tiles cost only $0.21 and are neutral enough for new homeowners to customize with their decor. Do invest in good lighting, a water-efficient toilet, and a new sink. If you have a master bathroom with space to spare, you should also consider opting for a double sink vanity and a bathtub if there isn’t one already. This project depends on the layout of your home. If you have space, converting your attic is a great way to add a charming bedroom (and possibly a bathroom) without needing to build an addition or second story. In fact, 57% of homebuyers prefer a single-story home, but 79% also want three or more bedrooms. To finish the conversion, you’ll need to make sure you’ve insulated the space, installed egress windows and built a staircase for easy access. Patios have a higher cost and lower ROI than a wood deck, so weigh the pros and cons of each with the layout of your home before beginning. Install flagstone in your backyard in a space that is big enough for some seating and a BBQ. You don’t need to go overboard with the design (31% of buyers actually don’t want an outdoor kitchen space), but don’t forget to put in electrical outlets and install a sliding glass door for easy entry. Homes that have the same number of bedrooms and bathrooms are definitely attractive to buyers. Additionally, if you currently don’t have a private master bathroom, you can look at adding one there. Be sure to include a shower/tub combo and linen closet for storage, as both were very desirable features for buyers. Making upscale bathroom additions, like a master bathroom with freestanding tub, dual stone sink, custom cabinetry, and ceramic tiles will increase your ROI by about 5%, but will cost almost double. However, if it is an addition that you will enjoy before selling the home, it could be a worthwhile update. Most of the options above will likely require help from contractors and bigger time investment. However, there are several more DIY projects that most homeowners can do to add more value to their homes. The initial cost and ROI can vary on these projects. For more advice on where to focus your attention, you can talk to your real estate agent. Swapping out lighting fixtures and ceiling fans can completely change the feeling of your room. Don’t shy away from installing ceiling fans in the kitchen, living room or bedrooms. Fan designs have evolved significantly from the ugly, wobbly versions you may have grown up with and are now an eco-friendly, cost-effective alternative to running the A/C. With either option, purchase neutral colors and keep in mind your ceiling height. You want to keep about seven or eight feet of clearance. For example, if you have eight-foot ceilings, you wouldn’t want your new fixtures to hand down more than one foot. This is a home upgrade that delivers returns for home sellers and future homeowners alike, due to the decreased cost in utilities and tax benefits that are often available. In fact, 94% of buyers said Energy-Star rated appliances were essential or desirable, 89% said the same about Energy-Star windows and 91% said having a rating for the whole home was essential or increased the home’s desirability. Start by making moderate upgrades in any place that makes sense, or that you are already remodeling. Kitchen appliances, toilets, and washers and dryers are a great way to go green without adopting a full off-grid system or solar panels. It doesn’t get easier than putting a fresh coat of paint on your walls and ceilings to ensure that everything is clean, nail holes are filled and the interior is cohesive. Buy low-VOC paint and primer (especially in the kitchen, where it will be exposed to heat) to make sure you are decreasing toxins and harmful off-gassing. When it comes to getting a home ready for buyers, you will also want to select a neutral color pallet that serves as an empty canvas. Surveys show that buyers are most interested in walk-in pantries in the kitchen, linen closets in the bathroom and extra cabinets or shelves in the garage. Homeowners can get creative with other areas of the home by utilizing the space under the stairs, the ends of hallways, unused walls or above sinks and cabinets to create more storage options. Home buyers are definitely drawn to technology in the home but are hesitant to pay a big sticker price for the added amenities. Additionally, unlike other renovations with high aesthetic appeal, buyers tend to focus on technology brand names. A wireless home security system and programmable thermostat are two good upgrades, with 50% of buyers saying they would like to have them in their home. When it comes to the fun tech, a wireless home audio system, lighting control, energy management system, and outdoor speakers were also on the list. While buyers tend to be more flexible about the location of bedrooms and bathrooms, 70% of people said they prefer the washer and dryer to be on the first floor. If you already have a spare space for your laundry room, it will be much easier to install the wiring and appliances. Space-crunched homeowners may need to get more creative and look for closets or nooks that aren’t being used. As you can see, many of these updates affect the curb appeal and add value to your home. If you are getting ready to sell, it’s important to start by knowing your current home value and then deciding how you want to add value to your home. Most buyers will spend a bit more for the nicer upgrades, while 62% said they would buy a smaller home if it had nicer amenities or unfinished space that they could customize themselves. Overall, when deciding how to add value to your home, you will get the most ROI by making smart updates and finishing them with midrange details and appliances that are aesthetically neutral. If you’re looking to buy property, make sure to look for these attributes. Though it’s not essential for a home to have each, things like installation in the attic can make a huge difference and save you money later. Whether you’re looking to buy or sell a property, we can help you through the entire process so you get the best value possible.